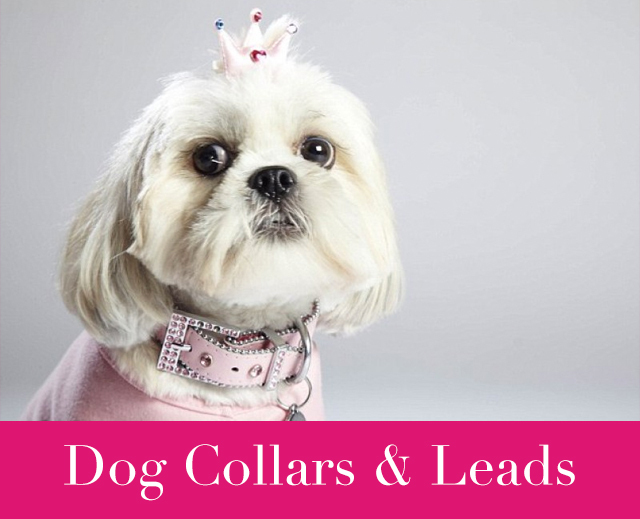 This website is owned and operated by Pets in Style. Throughout these terms Pets in Style shall also be referred to as ‘we’, ‘our’ and ‘us’. By using or accessing our website including any transactions you make, you agree to be legally bound by these terms and conditions, which includes any other important hyper-linked sections of this website. These terms and conditions concern sales made over the Internet only. 1.1 We reserve the right to change any of the following terms and conditions at any time. It is your responsibility to read these terms and conditions each and every time you use this website and your continued use of this website shall signify your acceptance to be bound by these terms and conditions. 1.2 Information that you provide on this website must be accurate and complete. Any log-on / login names and passwords are considered strictly confidential at all times. If you consider that your personally assigned details have been fraudulently used or become aware of the risk of any misuse then you must inform us immediately. Please note: Only your login name and personal information is required, we do not need your password to proceed. You will be contacted shortly afterwards to confirm your identification. 2.1 We have a policy of continued product development and reserve the right to amend the specifications of any goods or products without prior notice. Where applicable we will endeavour to provide full notification prior to any purchase, however, as a consequence some products may differ slightly from those on display or advertised and unless agreed with you, the product supplied by us will be of equivalent or higher value, functionality and appearance. 2.2 Although every effort is made to display our products accurately. We cannot guarantee that colour samples, pictures or photographs provided on this website are completely accurate. If you take advantage of our colour sample services (where applicable), you accept that these are merely samples to reflect the design and the quality and should not be considered a perfect match to the product that will be supplied. 2.3 All measurements provided are approximate and should be used as a guide only. Please ensure you measure your pet correctly to avoid disappointment. See also section 2.1. 3.1 Any price displayed on this website is for on-line purposes only and cannot be transferred to our mail order / telephone order sales. 3.2 Whilst we make every attempt to provide full and accurate information on this website, errors may occur. If we discover an error in the pricing of any product you have ordered from this website we will inform you as soon as possible and give you the option of re-confirming your order with the correct price information. We will not be bound to honour any prices that we have subsequently informed you to be displayed in error. If we are unable to contact you, we will consider the order cancelled. If the order is considered cancelled under these circumstances, you will receive a full refund. 4.1 All orders placed on this website are in accordance with these terms and conditions. 4.2 When placing an order on this website, we will send you an order acknowledgement email detailing the products purchased and postage charges. This email is not an acceptance of the order or an order confirmation. 4.3 Completion of the contract will occur when the goods are despatched to you unless we have notified you that we do not accept your order or the order has been cancelled. See return and refunds for more details. 4.4 We provide online facilities for you to access prior order details, however if you wish to obtain any further information please contact us. 4.5 We reserve the right to refuse any order placed by you. 5.1 We will take your payment by Pay Pal at the time we receive your order. The price you pay is the price in force at the time of your order. You will undertake to provide correct and accurate personal information when purchasing any product from our website, you will also confirm that the credit or debit card used is in your name and sufficient funds are available to cover the cost of any product including any additional optional extras selected and any delivery charges applicable. 5.2 All goods are subject to availability. If we are unable to supply the goods ordered, we will inform you at the earliest opportunity. In such an event we will offer an alternative of equivalent or higher value, quality, functionality and appearance. 5.3 Payments will be taken in full at the time of the order. 5.4 Payments can be made by made by credit or debit card through Pay Pal. For more information please contact us. 6.1 Time of the delivery is not of the essence of any contract between you and us. Although we endeavour to provide goods by the delivery times quoted on the website. All delivery times are approximate and as such a reasonable amount of time should be allowed for any unforeseen circumstances outside the control of Pets in Style. 6.2 Title to any products purchased on this website will pass to you on delivery of the products, provided that we have processed and received full payment for the goods. 6.3 Risk of loss or damage of the products passes on the date when the products are delivered, or the date of the first attempted delivery. 6.4 We will not accept any liability for any delay or failure to deliver any products within the estimated timescales. 6.5 Any accidental damage that occurs during the course of delivery will not increase our liability above the repair, replacement or refund of the goods or value thereof. 7.1 You may return any product you have purchased within fourteen (14) working days of despatch date. If you wish to return any item you must inform us in writing by email, within two (2) working days to be entitled to an exchange, refund or credit. Any refund will be paid less postage costs within thirty (30) days of your notice of cancellation. Please keep the goods in a saleable condition in the original packaging and in the condition it was provided. 7.2 On occasion the product specification from the manufacturer may change. In such circumstance we will offer you a similar product of equivalent or higher value, functionality and appearance. If you are not happy with the product you can return it under the conditions set out in section 7.1. 7.3 After the fourteen (14) days has expired under section 7.1, there are still limited circumstances in which you can return the goods. If goods are returned after this period a credit note will be issued. 7.4 Subject to your statutory rights, special order items, pet beds, pet toys or any personalised goods, which includes any products that have been altered specifically for you, cannot be returned unless they are defective or have been accidentally damaged in the course of delivery. 7.5 If we deliver incorrect or damaged goods, or if you discover a defect in the product for which you require exchange or other remedy, you must email us within Seven (7) days of the date you received them. Please return the item to the address we provide you with, with the original packaging and in the condition it was provided. 7.6 We will not be liable for any damage or loss caused by third party attempted repairs. 7.7 It is the responsibility of the customer to arrange for the return of any goods. 8.1 The content on this website is protected by copyright, trademarks, database and other intellectual property rights. You acknowledge and agree that all copyrights, trademarks and all other intellectual property rights and content as part of this website shall remain at all times vested in us or our licensors. 8.2 You are permitted to use this material only as expressly authorised by our licensors or us. 8.3 You acknowledge and agree that any material and content contained within this website is available to you for personal non-commercial use only. Any download of any information on this site is for personal use only whilst using this site. Any other use of the material or content on this site is strictly prohibited and you agree not to copy, reproduce, distribute, commercially exploit or create any derivative works of any material contained within it, either personally or to assist others including third parties. 9.1 These terms and conditions do not exclude any liability arising from death or personal injury caused by negligence, fraudulent misrepresentation, or any other liability which may or may not be authorised, limited or excluded under applicable law. 9.2 The website is provided without any warranties or guarantees. Although we endeavour to ensure that all information provided on this site is correct, reputable and of high quality, or free of viruses or bugs, we cannot accept responsibility if this is not the case. If we are informed of any of these issues we will attempt to correct the inaccuracies as soon as we can. 9.3 To the full extent allowed by applicable law we will not be liable to you or any third party for any consequential or incidental or any other indirect, special or punitive damages whatsoever arising out of or in relation to this website. Including, without limitation to the following, economic losses (including without limitation loss of revenues, data, profits, contracts, wasted expenditure, business or anticipated savings), loss of goodwill or reputation. 9.4 Our liability whether in contract, tort or otherwise, for loss or damage arising from the use of this website shall be limited to a sum equal to the value of the products purchased by you. 9.5 These terms and conditions do not affect your statutory rights as a consumer. 9.6 Although we take all reasonable precautions available to protect your personal information and to ensure that your payments are secure, unless we are negligent, we cannot be held liable for any loss incurred or caused as a result of any unauthorised access to any personal information you provide. 9.7 We will not be held liable for any delay or failure to deliver products or otherwise perform any obligation specified in these terms and conditions if the same is wholly or partly caused whether directly or indirectly by circumstances beyond our reasonable control. 9.8 Any link to a third party website contained within this site is accessed by you at your own discretion. You acknowledge and agree that you have chosen to enter that linked site and that we are not responsible for the content and availability of any external sites. We will not accept any liability under any circumstances for any loss or damage caused by the usage of any third party website as a referral from this site. 10.1 With exception to some clearance items, we guarantee all products against faulty workmanship and or faulty materials for 12 calendar months from actual date of delivery. 10.2 We reserve the right to repair or replace any product, at our discretion, with the same model if available or another model to the same value. 10.3 These guarantees do not cover fair wear and tear, neglect, abuse or misuse of your goods, loss or damage due to fire, smoke, water, lighting, sunlight, rusting, corrosion, theft, accidental damage or loss or damage caused by any third parties. 10.4 Any additional warranties provided by manufacturers of products remain between you and the product manufacturer. We will not be responsible to provide any services or repairs under any additional warranty offered by any product manufacturer. If the manufacturer ceases trading, any additional warranty is non-transferable and as such ceases to exist, unless the manufacturer has pre-arranged support for such an instance. 12.1 This website is operated and controlled from our office in England. Accordingly the laws of England and Wales govern claims relating to the use of this website and the materials it contains. 12.2 If you access this website from outside England or Wales you do so on you own initiative. You acknowledge and agree that any dispute between you and our company the laws of England and Wales will apply. 12.3 English is the only language offered for the conclusion of any contract on this website. 13.1 Unless expressly provided, all products on this website are for domestic purposes only. If any product is purchased for a non-domestic purpose, we exclude, to the fullest extent allowed by the law, those warranties and conditions relating to fitness for that particular purpose. 13.3 You may not sub-contract or re-assign any of your rights or obligations under these terms and conditions to any third party without written agreement from us. 13.4 We reserve the right to novate, transfer, assign or sub-contract the benefit of any part of our obligations under these terms and conditions to any third party without prior notice to you.